So, I finished the lap quilt I was making for our friend who was moving to Pasadena and have been waiting to give it to her before posting the final product (read more about the quilt here and here). 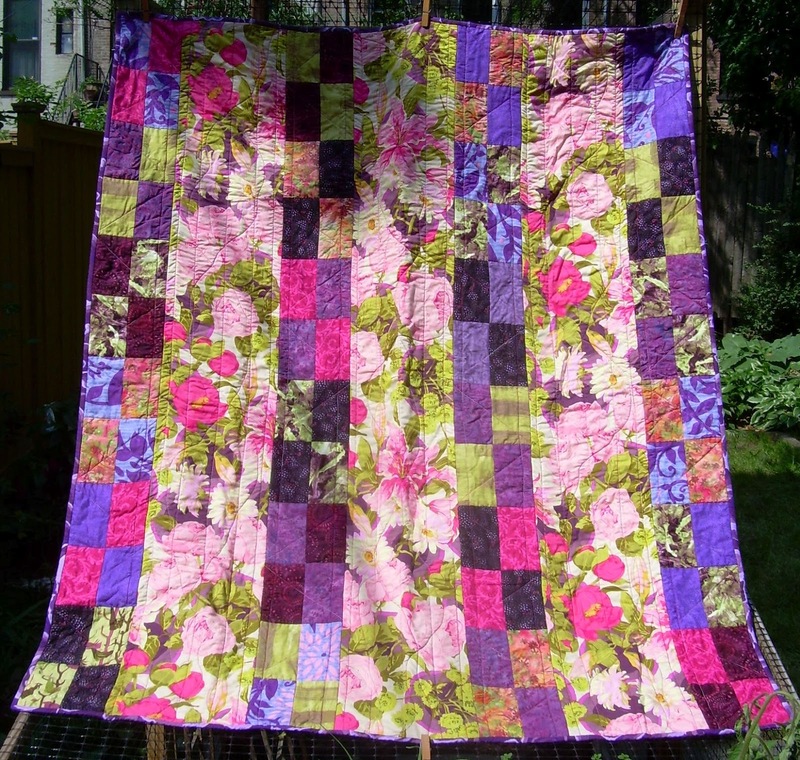 I'm really happy with the way the colors work together in a relatively simple pattern (Lake Shore Drive from Colorful Quilts for Fabric Lovers by Amy Walsh and Janine Burke). 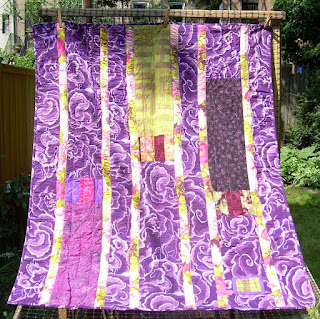 And the purple Kaffe Fassett Wood Ear on the back may be my new favorite fabric. It's so vibrant and friendly. Love it! We took Betty out to dinner a few days before she left and gave her the quilt that night so she'd have time to include it in her packing. She's not one for grand displays of emotion, but my husband (who knows her far better than I do) said he could tell she likes it. My goal was to give Betty something that would remind her of her New York friends, and to help make her new home more comfortable. 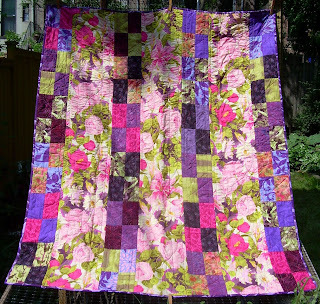 The quilt seems to have succeeded on both counts. I couldn't be more pleased.